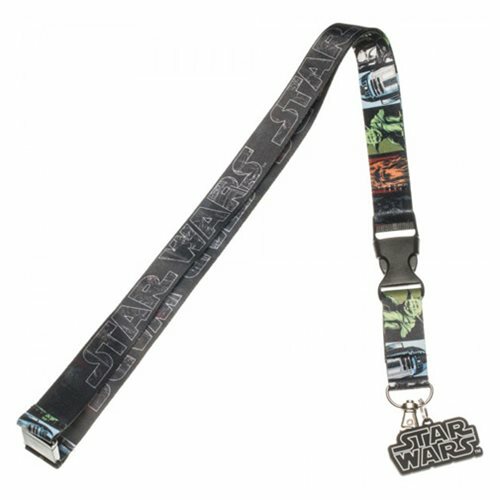 Show off your favorite franchise with this sweet Star Wars Multi Character Lanyard. This lanyard displays the Star Wars logo on the itself as well as hanging from the ring, it also displays a multitude of characters such as Chewie, R2-D2, Yoda, and more! This lanyard has two buckles, one for quick detachment of your keys and a break away buckle.